What the actual f! I’ve mentioned previously about the attempts to cash in on the Prosecco market with the likes of Asda’s Progrigio but this takes the dog biscuit. The very creation of this shows that the overuse of recreational drugs is still rife in the world of pet food marketing, (see Eddie Izzard’s riff on dog food Cesar from his brilliant Definite Article show, link here). What is much more disturbing than the idea that it has actually been created in the first place, is the idea that someone spots that next to the Whiskas and thinks to actually buy it. I can see them sat on the settee at midnight blurrily watching Dirty Dancing for the umpteenth time with their Prosecco’d up pet drunkenly gushing about how he/she wasn’t worth it anyway and that in the morning they’ll go on some twisted feline type Thelma & Louise Odyssey which will end badly when the car goes off the edge of the cliff but the cat survives because it lands on it’s feet, obviously. 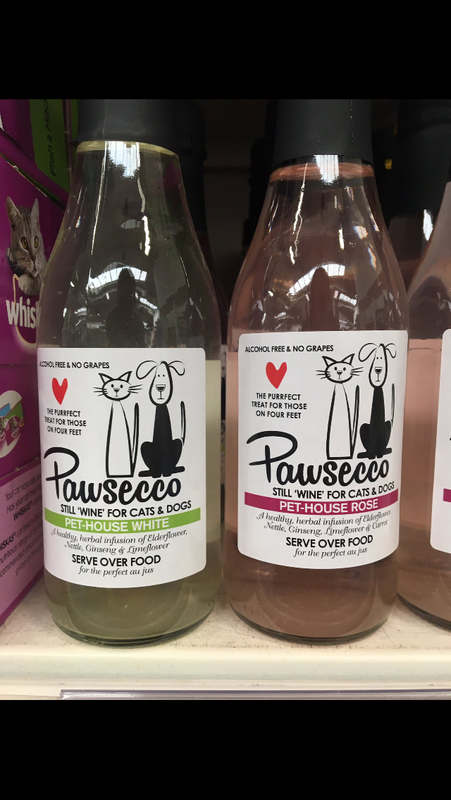 This could never happen because the Pawsecco doesn’t contain any alcohol, or grapes, or, one suspects, dignity.